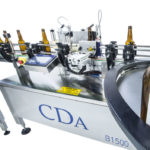 The CDA B1500 is an automatic labelling machine specially designed for the brewing industry. 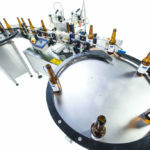 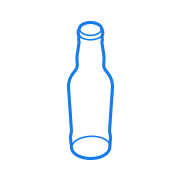 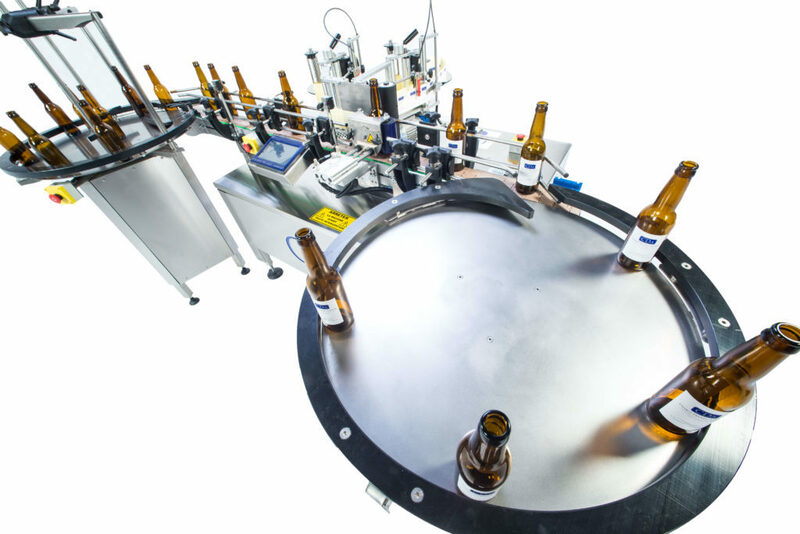 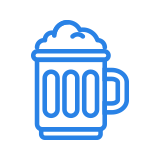 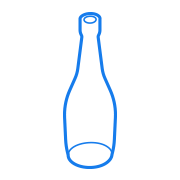 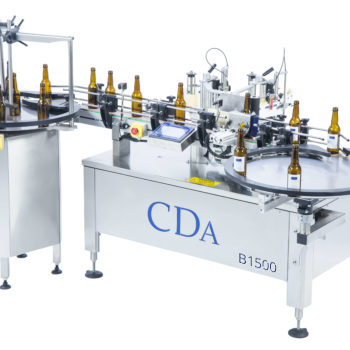 With the ability to apply up to four adhesive labels (label, back label, medal, back label) on beer bottles, its pacing system and the 3-point technique guarantee fast and efficient labelling, allowing up to 1800 bottles/hour to be labelled. 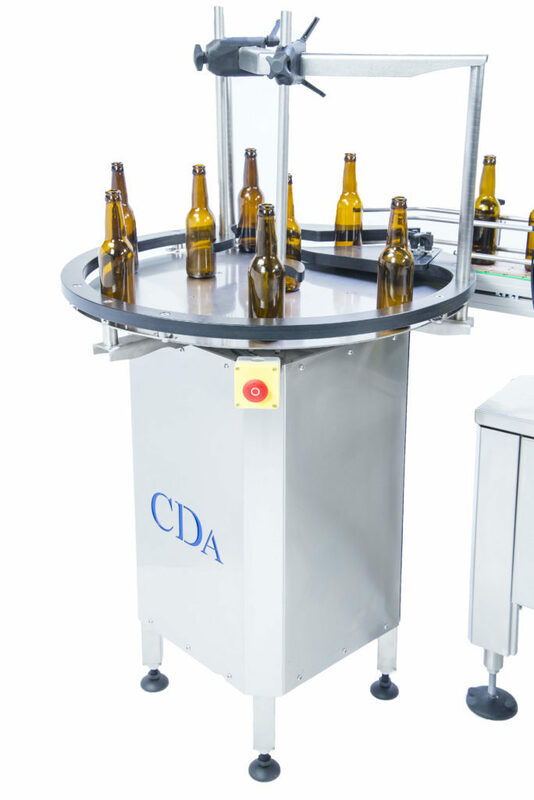 The B1500 automatic labelling machine impresses by its ease of use and adaptability to different bottle formats without additional equipment whatever the volume: 25 cl, 33 cl, 75 cl, 1L bottles, and the shape: Paris beer bottle 33 cl, High Long Neck beer bottle 33 cl, Low Long Neck bottle 33 cl, Celeste beer bottle 33 cl. 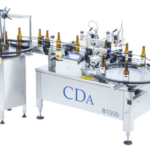 The B1500 can be easily integrated upstream or downstream of a bottling line. 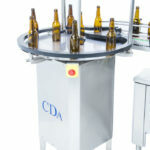 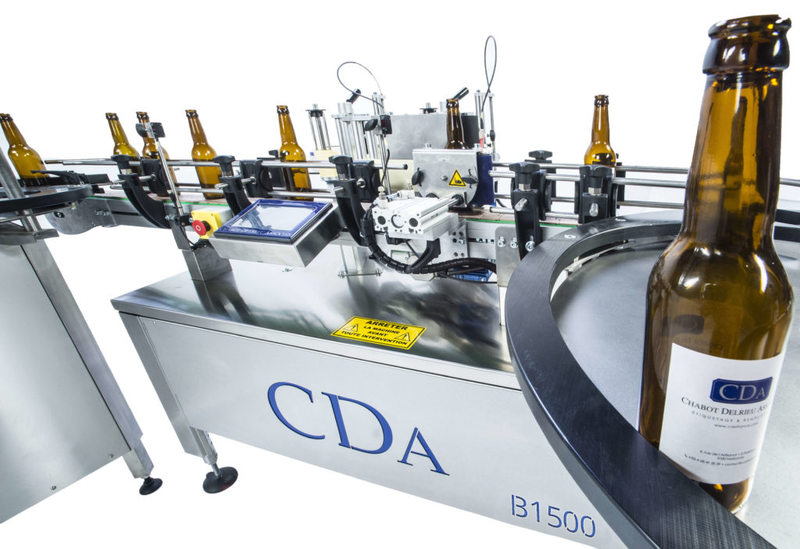 This automatic beer bottle labeller fits perfectly with our independent automatic capper for all B-Caps CDA capsule formats (up to 1500 bottles/hour).